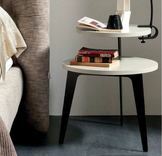 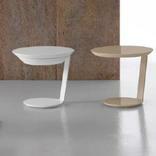 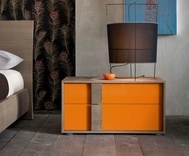 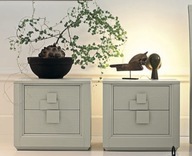 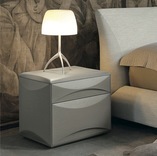 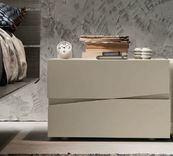 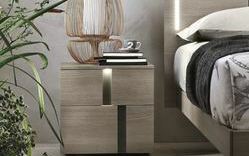 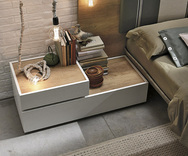 Modern bedside cabinets with a choice of colours! 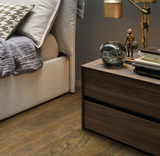 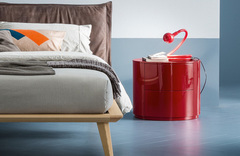 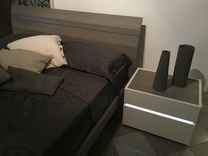 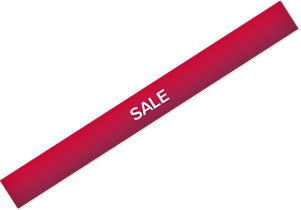 At Robinsons Beds we are continually sourcing the latest bedside cabinet designs, unusual and unique bedside tables and nightstands from the best quality UK and European bedroom furniture manufacturers. 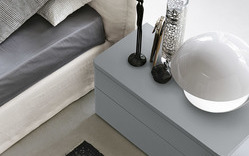 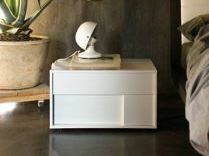 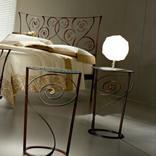 Everything from single to four drawer bedside cabinets, low or high, narrow or wide and bedside tables without drawers - many come in a huge variety of finishes, colours and textures ranging from the flexible designer Cube bedside cabinet; the minimalist Globo round nightstand or the classically beautiful and ornate Ciacci Butterfly metal bedside table. 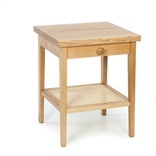 Whatever your style or design preferences you will find a bedside cabinet or bedside table in our range that complements your bedroom and gives it that special finishing touch. 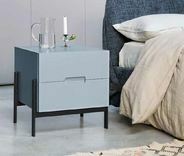 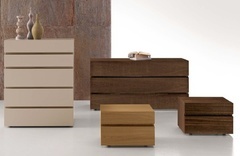 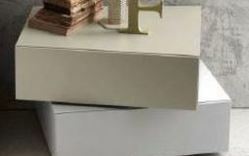 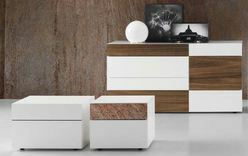 The latest fashionable bedside cabinets come in many exciting finishes including matt lacquer, gloss lacquer, natural wood grain, walnut, cherry, oak and ash wood veneers, the latest shades of grey and neutral colours, bright colours and gold or silver leaf. 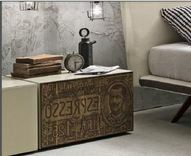 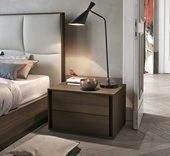 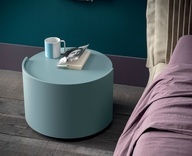 Our collections include stylish bedside cabinets, tables and nightstands from prestigious Italian furniture companies such as Presotto, Tomasella, Novamobili, Mazzali, Dall'Agnese, Zanette, Zani; Wellemobel of Germany and Seltz and Bernard Siguier from France. 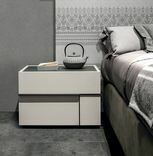 Choose from a wall mounted single drawer, cute round nightstand, 2 or 3 drawer glamourous gold or silver leaf or stacked multi coloured cabinets, to a plinth with inbuilt lights and glass shelves. 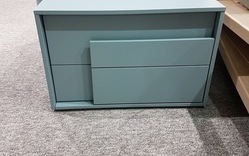 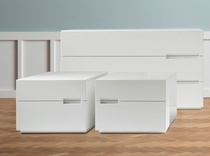 All the cabinet drawers are fitted with a soft closing system. 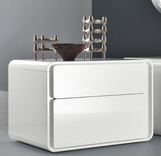 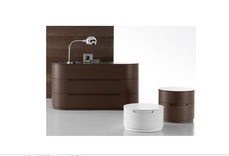 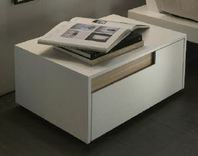 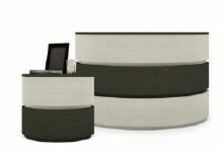 We feel sure you will find the perfect piece out of this extensive range of gorgeous cabinets. 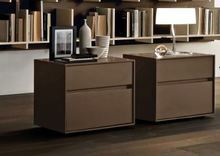 If you need help with your search please do not hesitate to contact us. 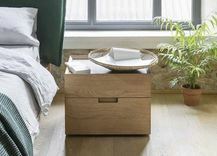 We deliver bedside cabinets and matching bedroom furniture throughout the UK including to London and the Home Counties, Edinburgh, Manchester, Birmingham, Liverpool, Newcastle, Cardiff, Glasgow, Aberdeen, Brighton, Kent, Surrey, East & West Sussex, Lincolnshire, Nottinghamshire, Leicestershire, Derbyshire, Yorkshire, Suffolk, Hertfordshire, Bedford, Buckinghamshire, Berkshire, Oxfordshire, Cambridgeshire, County Durham, Wiltshire, Hampshire, the Isle of Wight, Somerset, Dorset, Devon & Cornwall, Gloucestershire, Cheshire, Shropshire, the Midlands, Norfolk & East Anglia, all parts of Wales, Strathclyde, Argyll & Bute, Perthshire and the Highlands of Scotland. 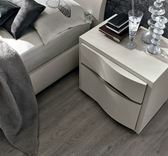 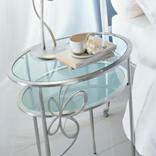 We can also ship to mainland Europe.